Where to stay in Amsterdam? Here is a detailed mini-guide to the districts of the Dutch capital and places to unpack your suitcases in Amsterdam! If this is the first time you are coming to Amsterdam, you are likely to face a dilemma: since you’re unaware of the different atmospheres or the cost of staying in the city, you’re probably will be asking yourself: what is the best area to stay in Amsterdam? Where should you book accommodation during your stay? What is the best area to visit the city, relax, and experience the Amsterdam’s nightlife without exceeding your budget? Do you fancy staying in Binnenstad, the old part of Amsterdam, home to impressive buildings of Gothic and Classical architecture, as well as interesting monuments and museums to visit; or in the rowdy Red Light District, packed with tourists, noisy bars, coffee shops, youth hostels, and trendy venues; in Leidseplein; or perhaps in Pijp, the formerly working-class quarter? 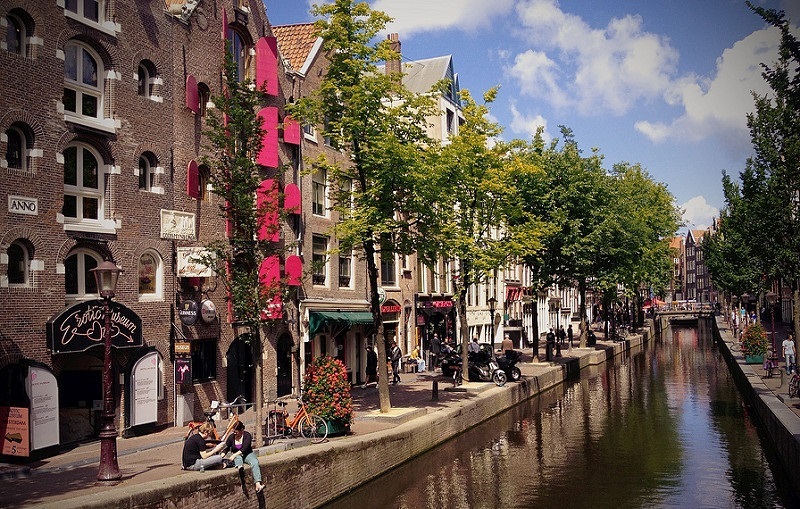 Or is it better to book a stay in the Canal District for a more romantic, picturesque trip in Amsterdam, despite being far from the city centre, and therefore having to spend some time using public transport? 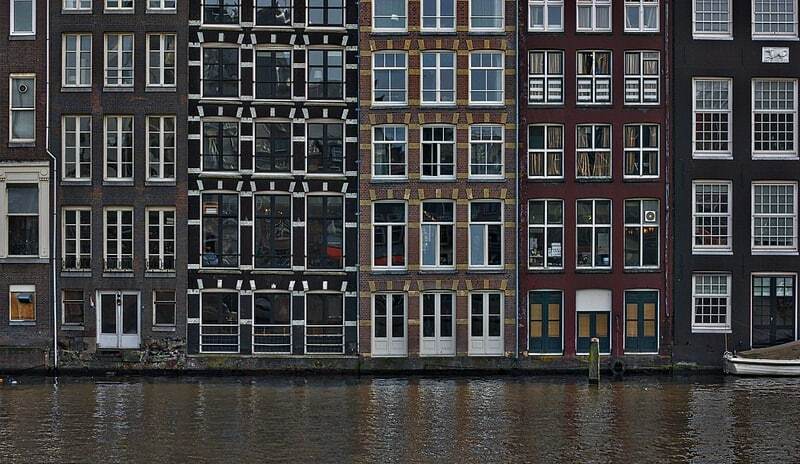 Here is a brief overview of Amsterdam’s main districts, including Binnenstad, Waterlooplein, Chinatown, the Red Light District, the Canal District, museums, Leidseplein, Jordaan, and Pijp, the city’s well-known working-class quarter. Binnenstad is both the old town and the historic centre of Amsterdam. Centrally located, it is a convenient area to stay in Amsterdam, and you will be able to go to other districts fairly quickly. Here you will find the famous Dam Square, the red-light district, the central station, the flower market, as well as a wide array of bars, cafes, restaurants, fast foods, souvenir shops and coffee shops. The majority of landmarks and museums worth visiting – for example the Royal Palace, the Amsterdam Museum, or Madame Tussauds – are found along the city’s pedestrian and shopping streets. Famous for its window prostitutes offering their services to the onlookers, and for its coffee shops offering many European tourists a chance to spend a little while in “paradise”, the Red Light District – De Wallen, as the Dutch call it – also houses the city’s oldest churches. 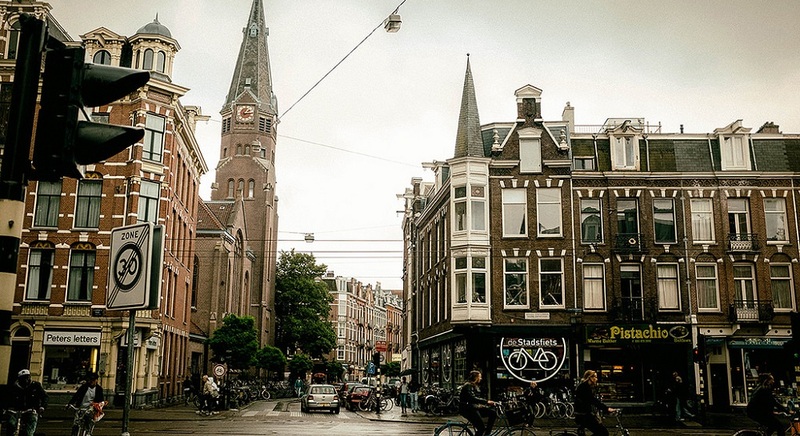 It is Amsterdam’s oldest district and the one that exudes the most striking contrasts, blending religion, cannabis, and debauchery. If you’re looking to party the night away in noisy bars and lively streets, this area is a great choice. And you’ll find that accomodation costs will be less expensive than in other parts of the city. 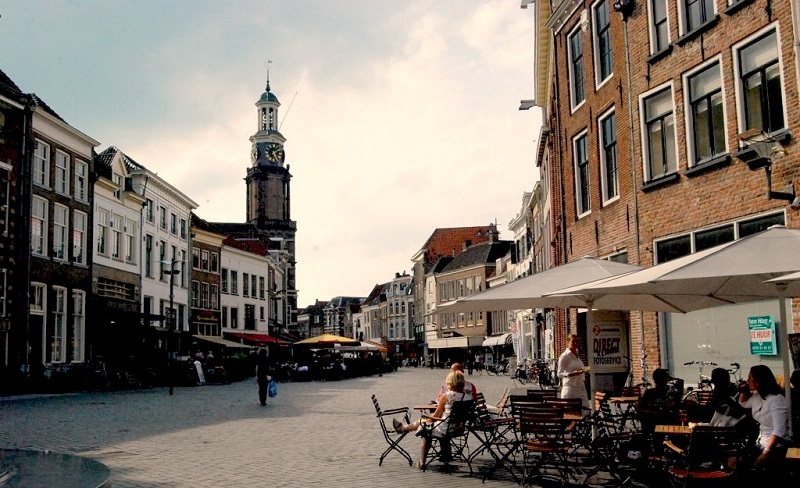 In this district, you will have a chance to travel in time and explore the history of the Dutch Jewish community, as well as the dark hours of the Second World War. The former Jewish quarter of Amsterdam until 1945 is the birthplace of Spinoza – a great critic of religion – and the former home of Descartes and Rembrandt. This area features the Botanical Garden, the Amsterdam Zoo, green spaces (not free), and fascinating cultural attractions including the Rembrandt Museum, the Dutch Resistance Museum, the Tropical Museum, and the Jewish Historical Museum. In terms of social life, the area will not disappoint you: check out its second-hand clothing shops, coffee shops, and its micro-brewery. A very quiet and green area, it’s an ideal choice for family holidays. 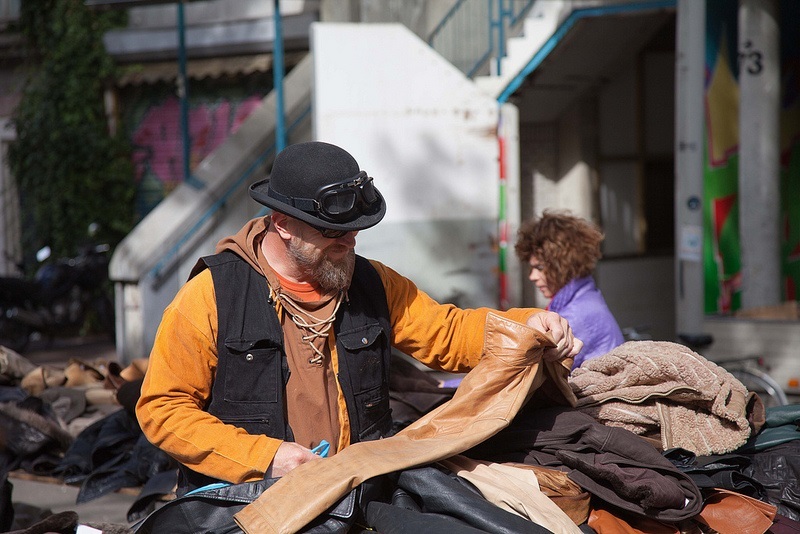 The Waterlooplein Square also hosts a very famous flea market. Circling the old city of Amsterdam, the Canal Loop is a concentric area of the city, filled with shops, bars, and museums. It’s an ideal place to stay if you’re looking to go on a memorable romantic getaway in Amsterdam. Very central, it surrounds the Jordaan district to the west, Leidseplein to the southwest, and De Pijp, the museum district, and the Plantage to the east. 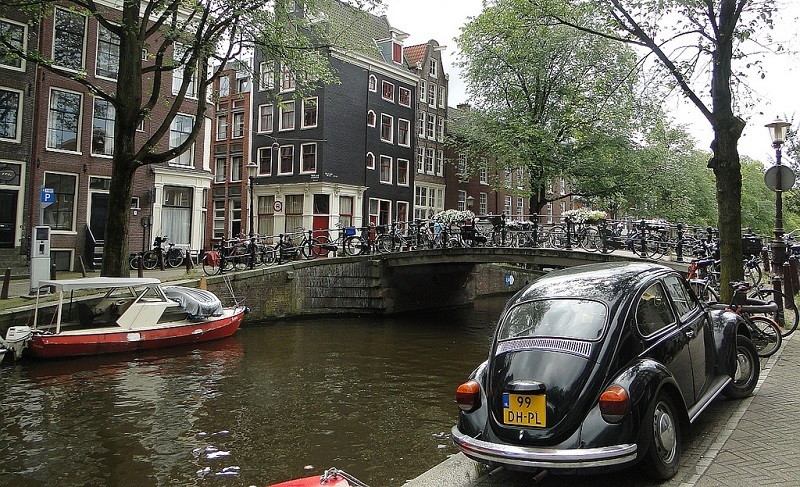 Go on a bike ride through the nine narrow streets and canals found on all postcards, take a riverboat ride, or visit museums such as the Anne Frank House or the Villet-Holthuysen and the Houseboat Museum. An ideal location if you are a gourmet couple and/or like shopping. A former working-class district, Jordaan is now a bourgeois district of Amsterdam, home to a myriad of shops, bars, and eclectic restaurants. And since Jordaan is also the city’s « arty » quarter, you won’t be surprised to find many contemporary art galleries in the area. 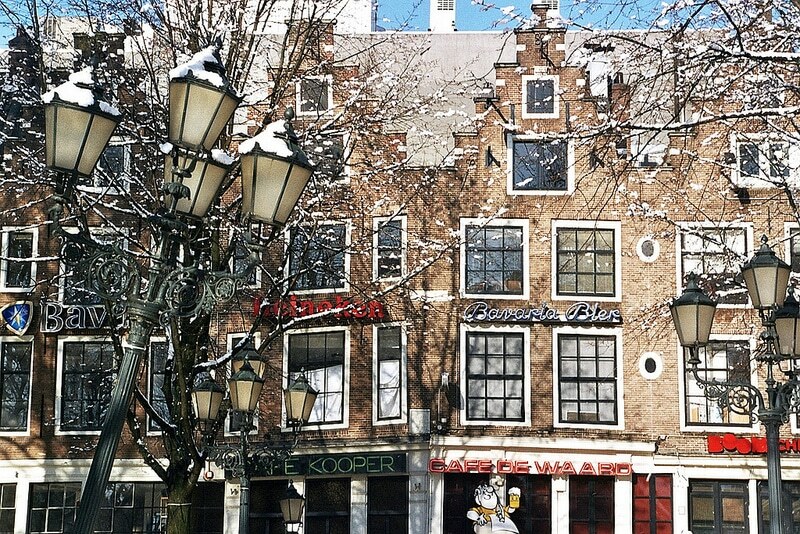 West of the old town, you’ll be staying amongst traditional Dutch houses. One of the most charming and pleasant areas to stay in Amsterdam, Jordaan has many coffee shops, a very famous flea market – Noorderkerk -, as well as pubs, and organic groceries. It almost feels like a small village, mainly attracting artists, students, and professionals. Located south of the city, Leidseplein is one of Amsterdam’s most vibrant quarters featuring a range of clubs, and concert halls. Featuring a nice selection of bars and coffee shops, the area is five minutes away from Vondelpark and right next to Leidseplein, the city’s liveliest square. A great area for partying and going out, where you’ll regularly see artists, jugglers, and musicians performing in the street. However it is one of the youth’s favorite haunt, and can therefore be a bit noisy. The museum district is one of the greenest areas of the city, home to treasures of Dutch cultural heritage, such as the Van Gogh Museum and the Rijksmuseum. 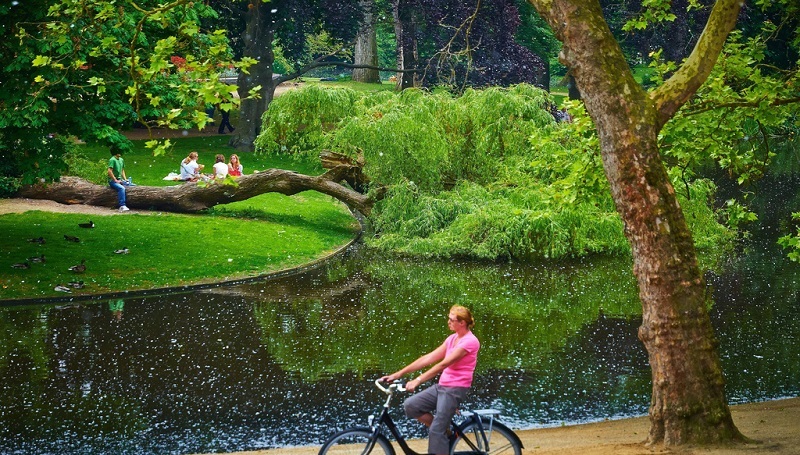 The district boasts the wonderful Vondelpark, reputed to be the city’s most pleasant public park. To sum up, you will find the most interesting art museums, one of the best concert halls in the world – the Concertgebouw – and, to top it all, a peaceful living atmosphere. Are you fond of painting and music? Look no further when looking for where to stay in Amsterdam! De Pijp is a district known for its bourgeois-bohemian, cultural, and artistic atmosphere, with touches of authenticity due to it being unspoilt by mass tourism. Formerly working-class, it is located in the south-east of Amsterdam’s city centre and offers a good solution for accommodation in Amsterdam. De Pijp is home to six major attractions: the largest market in the Netherlands, a large concentration of typical Dutch bars and restaurants, a very famous coffee shop – the Green House -, the Van Gogh Museum, the Heineken Experience Museum, and open-air creations by the Amsterdam School of Architecture. Relaxed atmosphere guaranteed!